Ashley is officially our first 5 year member! Ashley is the perfect example of how hard work and consistency pay off. When she joined 5 years ago, she was getting winded going up a flight of stairs and she thought that she just wasn’t built for being an athlete. 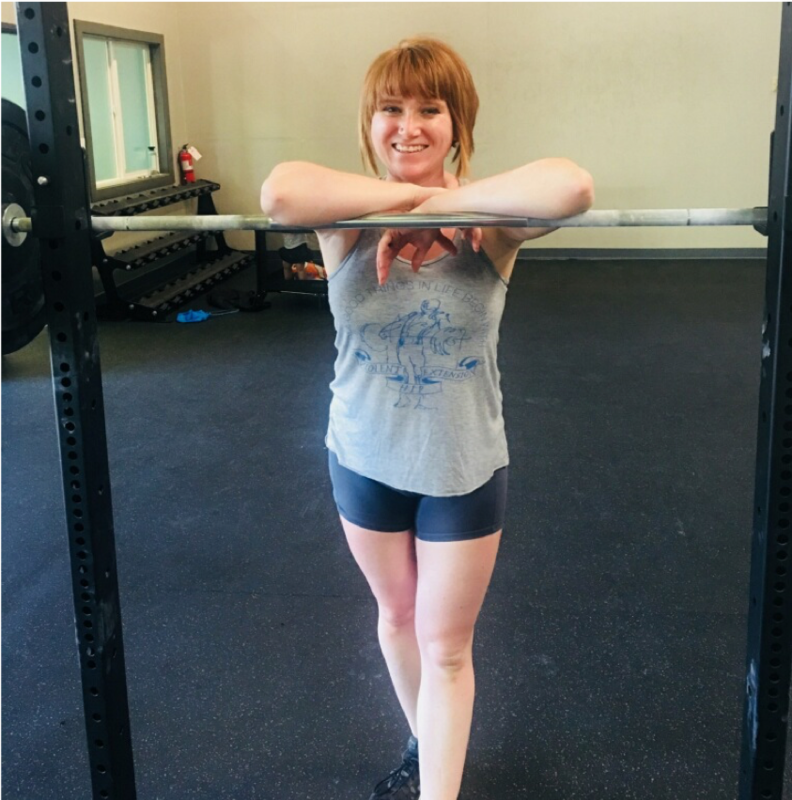 Since then, she’s competed in a local team fitness competition and a weightlifting competition as well as had a beautiful, healthy baby daughter. We’ve seen Ashley grow stronger, fitter, and more confident over the last 5 years. When she started she would struggle with doing pushups on her knees, and now she is a proficient weightlifter, has strict pull-ups, is comfortable tackling challenging workouts, and more confident in the strength she possesses. She still hates running, but she’ll do it if we ask! We love having Ashley here training with us, and showing herself as well as everybody else what she’s capable of! For the entire month of August, for every workout you do with us, make sure you check in on Facebook or Instagram and brag a little about what you can do! Every check in with us earns a $1 donation to , a local charity of Ashley’s choosing. You can check out what they do, then come in and tackle a workout with Ashley!